MEIS Roofing & Construction offers high quality, professional residential and commercial roofing and construction services throughout DFW, North Texas and beyond. 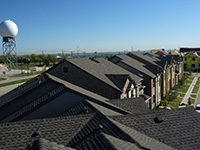 Meis Roofing & Construction offers expert commercial roofing, industrial roofing, multi-family roofing, & residential roofing throughout the Fort Worth, Arlington, Dallas, Waco, Killeen, Temple, Austin, San Antonio, and Houston areas. 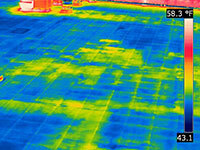 Our roofing contractors perform top-tier insurance claim restorations from roof hail damage to interior water damage. We also offer a wide variety of inspection services from insurance claim reporting for insurance carriers to commercial low-slope inspection for building inspectors and real estate professionals. Our professional, experienced roofing supervisors take a hands-on approach, ensuring that every detail of the project is per our client’s specifications. 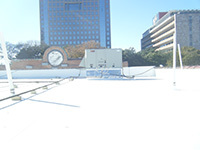 If you need commercial roofing or residential roofing in the Dallas, Fort Worth, Arlington, Waco, Temple, Killeen, Austin, San Antonio or Houston, you need the experienced professionals at MEIS Roofing & Construction. Our company provides roof repair, roof installation, and roof maintenance. We’re proud to serve all major cities in Texas. Our primary focus is the 100% satisfaction of our customers. Our roofing contractors work closely with you to find solutions that meet your needs and your budget. Whether you need low-slope roofing for your business or you need energy-efficient shingles for your home, we have the technology and roofing products required to deliver fast, reliable results. The roofing specialists at MEIS Roofing & Construction are some of the best in the industry, and we background-check all of our employees for your peace of mind. We understand that choosing a roofing company is a big decision, so we go out of our way to earn your business. When you partner with MEIS Roofing & Construction, you receive one-on-one service from professionals who care about your roof and your wallet. Our roofers make sure that our customers are educated regarding all of their choices before any work begins, and we provide free inspections and estimates so you can make the decision that’s right for you. Any roofing work can be dangerous, so MEIS Roofing & Construction takes every safety precaution possible to ensure that our roofers and your building are protected. Our company is OSHA-compliant, and we use the latest in safety technology and techniques during any roofing job we perform. We utilize site-specific safety plans and safety directors who are custom tailored to each commercial roofing project we undertake. We carry a two-million-dollar general liability insurance policy so you’ll never have to worry about damage to your home. All of our workers are covered by workers’ compensation insurance, so you are not liable for any injuries to our workers on your property. Our team will treat your home with respect, and we’ll never leave a mess behind. If you find that you are dissatisfied with any aspect of our service, we’ll work with you to make things right. To learn more about MEIS Roofing & Construction, or to receive a free inspection & estimate, contact us online or call us today, 866-211-1116.